I had already been fasting during Ramadan, so the daily fast was not a problem, but the first night of eating only the dates and labeneh left me wanting more. Where was my daily grapefruit? My delicious chicken salad? I kept busy and drank alot of water to compensate. 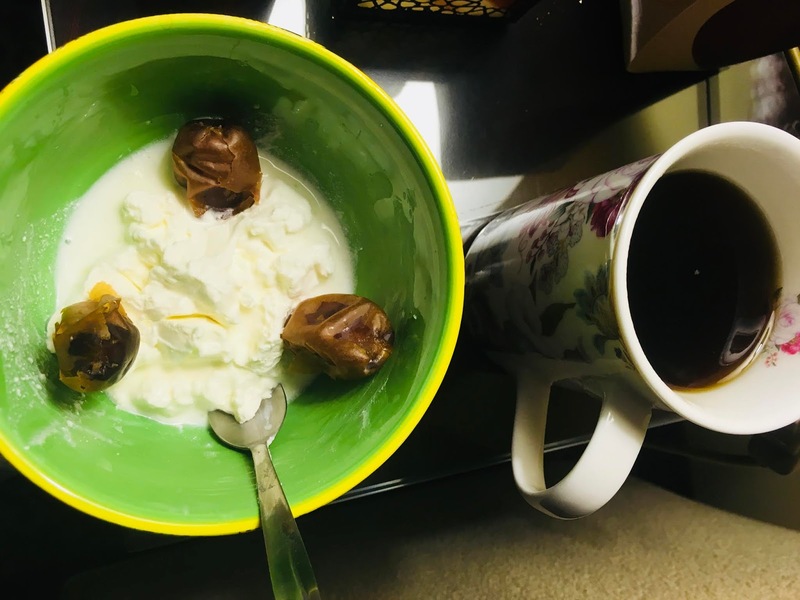 I didn't feel hungry during the day and I think it was only habit that made me crave my usual foods in the evening, because actually I found the combination of dates and labeneh really filling. 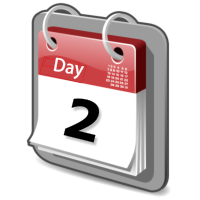 From day two it became much easier and I felt lighter on my feet and by day three, I'd lost a kilo in weight! This wasn't supposed to be about weight loss, but I'm never one to pass up a good side benefit!! Day five finally came today and I stepped on the scales to discover another kilo gone! 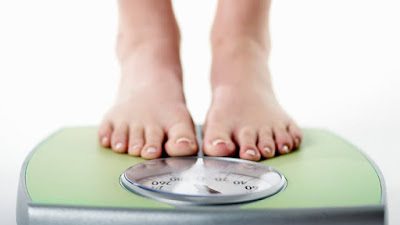 2 kgs lost in 5 days and I didn't feel any ill effects. 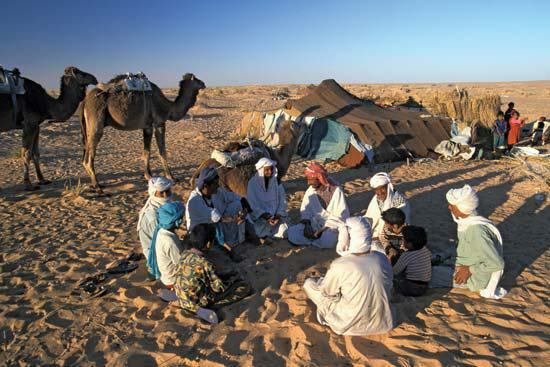 The Bedouin of course would survive alot longer than 5 days on their meagre diet. 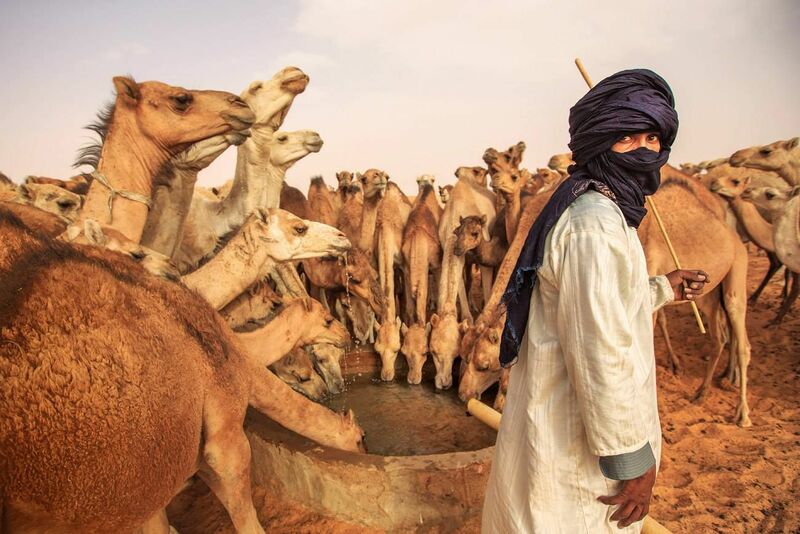 Bedouin literally translates as 'desert dwellers', and dates and camels milk were their staple diet for a reason. They were both readily available to nomadic North African and Middle Eastern pastoral tribes, who would wander for months, from well to well across dusty plains and sand dunes, devoid of any other natural resources. 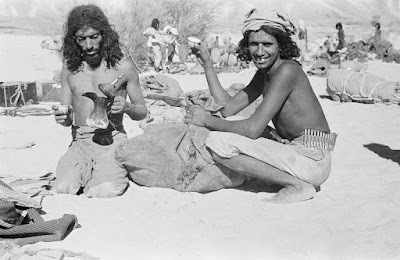 The Bedouin would rarely slaughter a camel for meat unless it was very sick or there was a special event such as a wedding or visiting tribe, when custom and legendary Bedouin hospitality would necessitate the sacrifice of one of the herd. So for most of the time, the two most humble of food sources provided all the nutrition required. But can they really be good enough to sustain families in the harshest conditions, doing physical work, walking for hundreds of miles for days, weeks and months? The answer lies in the nutrient density, with camels milk in particular lauded by the Bedu as having strength and power giving properties. In fact when they couldn't get dates, they would survive on the camels milk alone, and the Bedu revered their camels, referring to them as a 'gift from God'. A tribe could survive for very little time in the desert without them. Often drunk straight from the udder, it would be warm and frothy and plentiful..... the female camels would be milked each morning and evening, and even when suckling young, could provide an additional 4 to 5 litres of milk each day, for 11 months. Camels have the extraordinary natural ability to continue to produce milk even when going without water for weeks themselves. 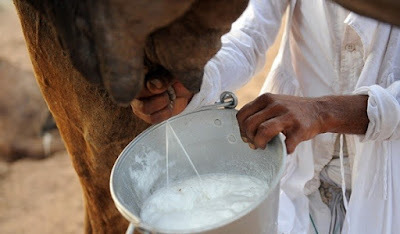 Camels milk is the most nutritious of all mammals' milk and is in fact closer to human breast milk than it is to cows milk and is often given to babies who are suffering malnutrition. Compared to cows milk, it is higher in protein, lower in fat and cholesterol and has three times more vitamin C and 10 times more iron. 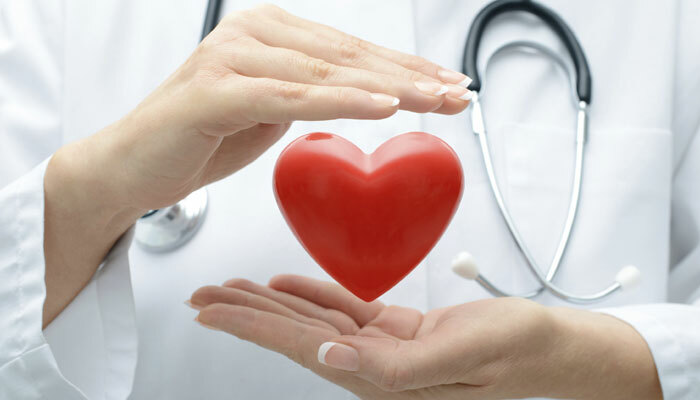 It is also interestingly, lower in lactose and has been found to help in reducing levels of the type of haemoglobin in the blood to which glucose attaches, so can be useful in the control of blood glucose levels. 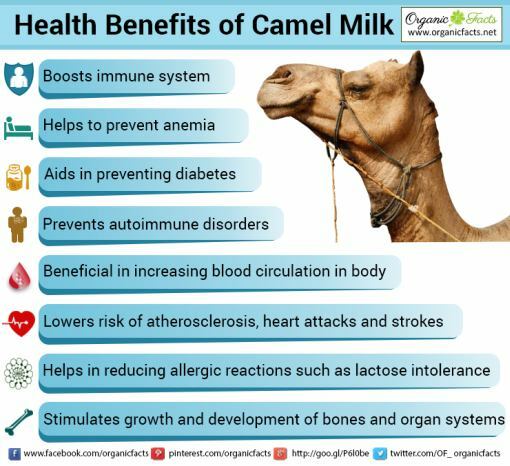 Mineral levels such as magnesium, copper, sodium, zinc and potassium are all higher in camels milk. 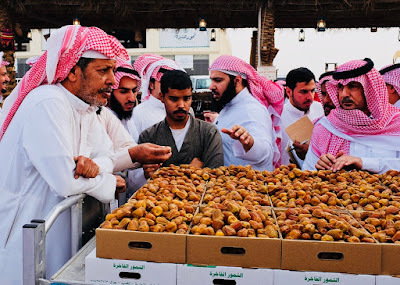 Pastoral nomadic Bedouin tribes would usually purchase most of their dates from souqs in urban areas, rather than coming across them on their desert journeys, although date palms do grow naturally in many areas. Before the emergence of a cash economy, many of the nomadic tribes were paid in dates for protecting villages, urban markets and farms from other raiding tribes. 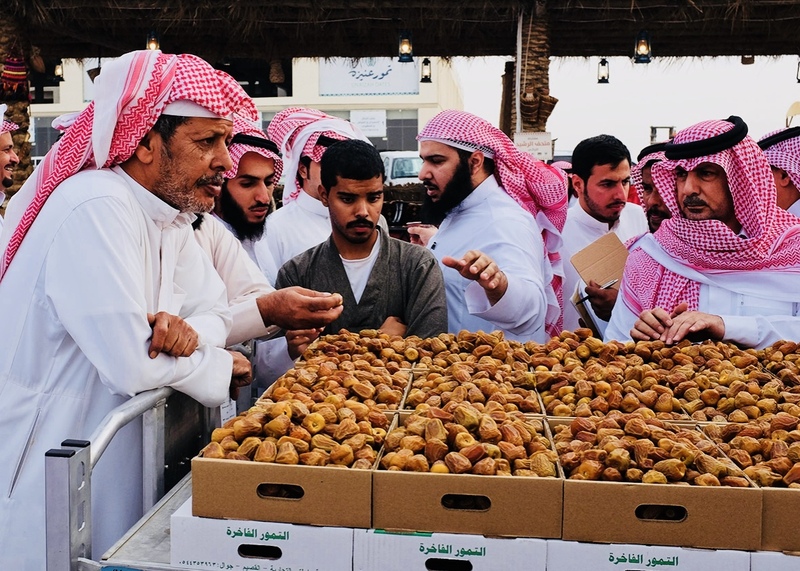 Like camels milk, dates are particularly nutrient dense containing not only carbohydrates but also protein, fibre, potassium, calcium, magnesium, copper, manganese, phosphorus, iron, zinc and vitamin B6. Many of these particular minerals have been found to be beneficial to bone health and prevent conditions such as osteoporosis. The high level of fibre in dates is very beneficial to gut health and contributes to their surprisingly low glycaemic index, despite the carbohydrate content. 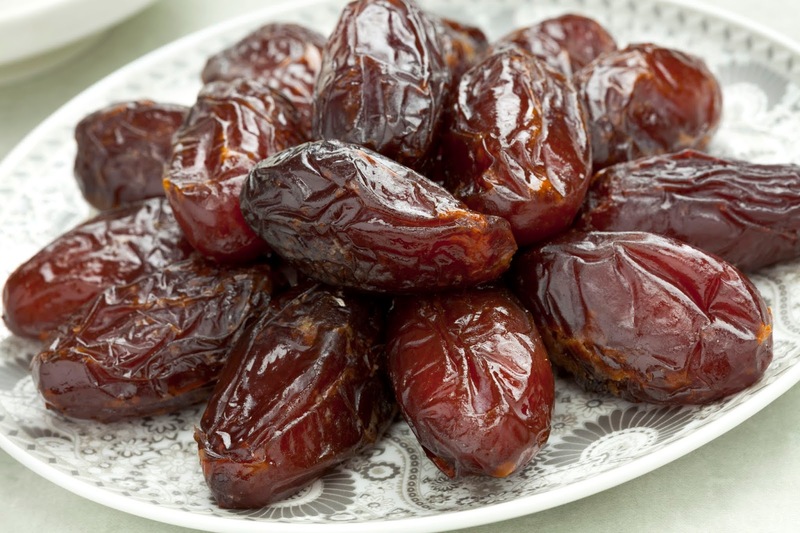 Studies have found that dates, eaten in moderation, can help in regulating blood sugar and improving insulin levels due to the zinc and magnesium content. Dates also contain some powerful anti-oxidants.... flavanoids, carotenoids and phenolic acid.... which all contribute to protecting cells from free radicals, known to cause disease. These anti-oxidants help to reduce the risk of all manner of diseases such as Alzheimers, cancer, diabetes, eye disorders, heart disease and general inflammation. 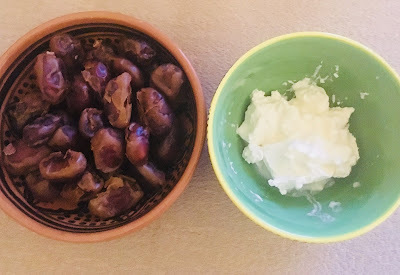 Even though in my own small way, I replicated the Bedouin diet, unlike the true desert dwellers of yesteryear, I'm lucky enough to be living in the comfort of an air conditioned environment, not in the 46 degree heat outside! I have a deep respect for the Bedouin and their beloved camels, and their clever use of the most meagre of resources to sustain themselves. I can only assume the secret lies in the combination of the types of carbs, fat and protein contained in these two superfoods, providing them with the nutrients they needed to remain strong, lean and alert. 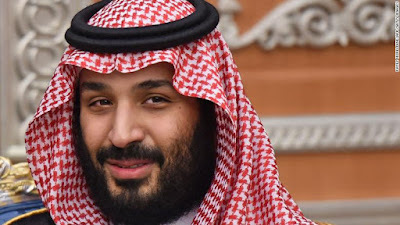 The discovery of oil and instant wealth has provided access to an abundance of sugary, fattening, unhealthy and unnecessary foods, causing an obesity epidemic in the Gulf in particular (with the exception of Yemen). In todays world of overconsumption in all things, there is much we and the modern richer cousins of the desert nomads can learn from their life of austerity and discipline. Loved reading this post! 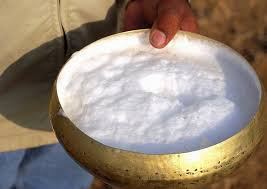 I'm allergic to cow's milk and grew up drinking camel's milk. I loved it but my siblings never liked the taste; it is quite strong! That was back in the Emirates though, we haven't found any here. The camel truly is the Ship of the Desert, a miracle from God. 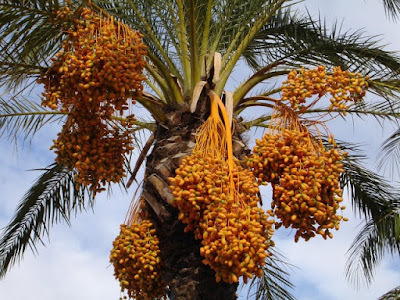 So is the date palm. Somehow both can survive on next to nothing. It still baffles me how both can produce such nutrient-dense 'superfoods' in such harsh conditions! Everything obtains energy/nutrients from something, where does theirs come from?! Yes, sadly the Arabs are losing their culture and identity, all in order to fit in with the more developed, western world. Such a pity but it can't really be helped. I suppose it's because people change. After all, we are, none of us, the same people our ancestors were. At least the camels and date palms of today are still the same though! So not all things change!